Reinis Nitišs will start his home round of the FIA European Rally Championship next week aiming to learn more rather than attempt to win the ERC2 category for the second year running. 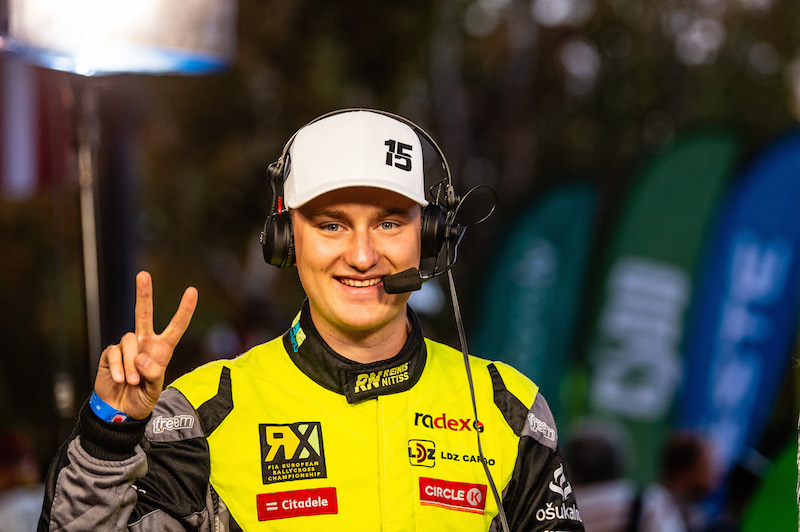 The Latvian ace, who starts Rally Liepāja as the FIA European Rallycross champion, tackles selected rallies alongside his rallycross programme each season. He’ll contest the ERC season closer from 12-14 October in a Mitsubishi Lancer Evolution X. “I have already done two rallies this season and have a feeling for a good race for the best class results in Liepāja,” said Nitišs. “At the same time, we have to keep in mind, that there is plenty of learning still to be done before comparing ourselves with the fastest crews out there. Uniquely, rally is a very a long and demanding discipline of motorsports. In order to cope with that the mental and physical preparation has already began, so I could be on the sharp edge throughout the weekend – from the start of recce to the very last special stage.